Here’s an ingenious way to enjoy the season’s freshest fruits…with a twist. 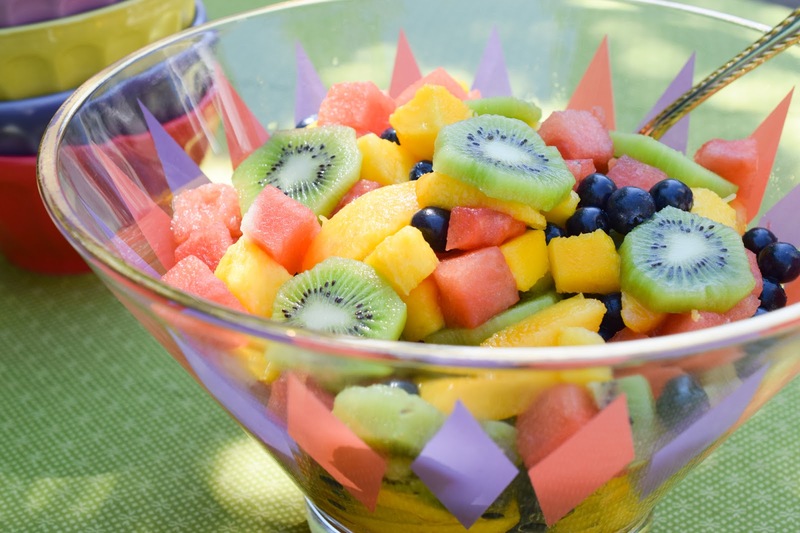 How can you make a simple fruit salad taste it’s best? I’ve found that just a little citrus and sweetener dressing make fruit taste much better. Most people won’t realize it but, you can dramatically enhance a fruit salad, and guests will think it’s just really good fruit. And, if you want to go all out to impress? Use simple cookie cutters to cut 1/2 inch thick melon slices into flowers, stars, or geometric shapes. It’s easy and looks like you went to a lot of trouble…but you didn’t! extract in a small bowl and whisk together. Set aside. over fruit. Gently toss. Serve immediately.